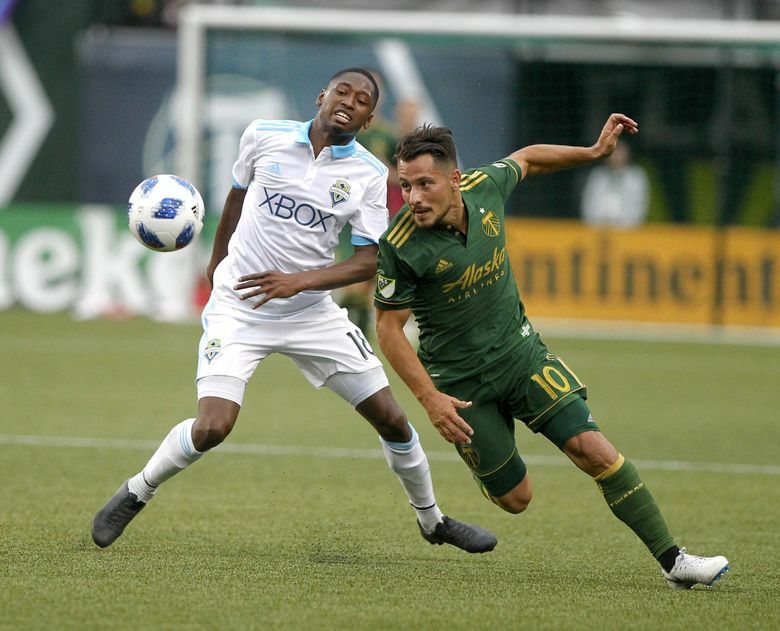 The Sounders' victory extended their unbeaten streak to 10 matches and also stunned a boisterous home crowd that had watched the Timbers slowly take over the game as the second half unfolded. 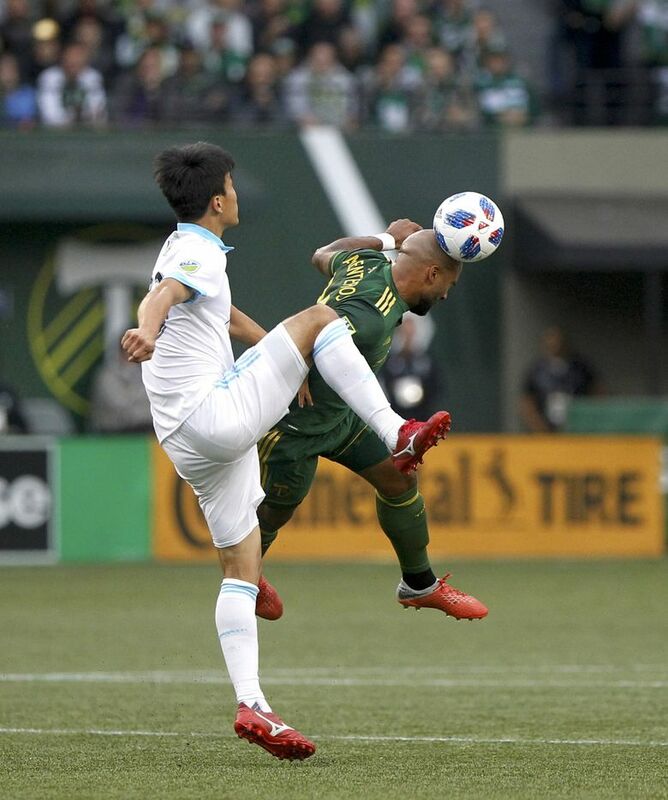 PORTLAND – Kim Kee-hee quietly sat in a rear alcove of a music-blaring, beer-flowing Sounders’ postgame locker room, head down and ear pressed into a cellphone. All around the room, though, his victorious Seattle teammates were making some noise and having a few laughs describing Kim’s contribution to a stunning 1-0 victory over the hated Portland Timbers. 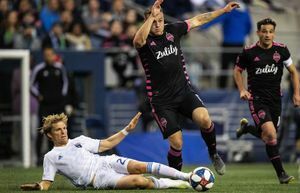 The Sounders on Sunday night were being outplayed for the most part until central defender Kim did his best impersonation of a winger on the only goal of the game. 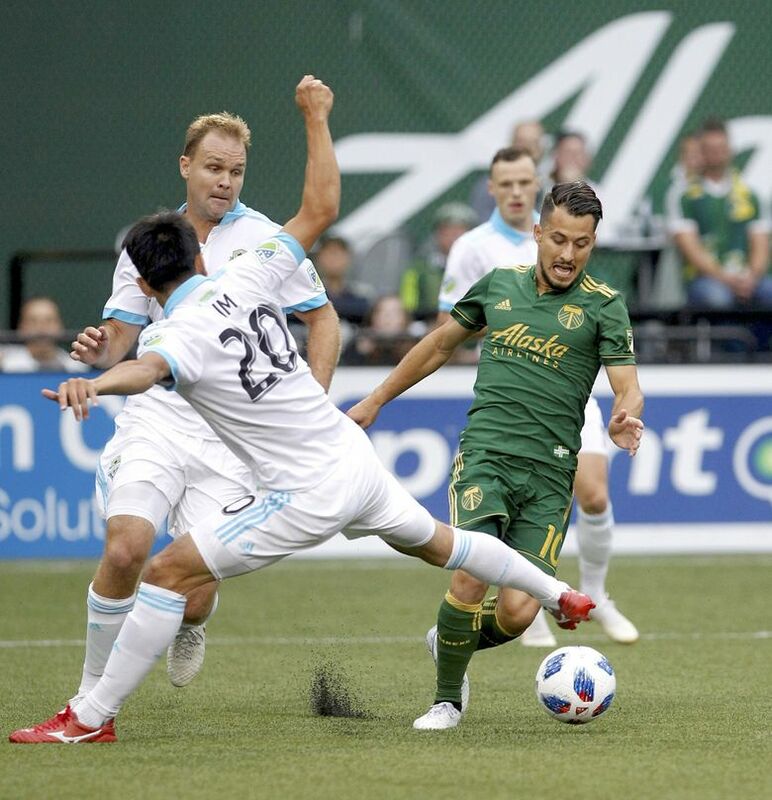 Kim took a Nicolas Lodeiro pass along the right side and then – seeing a ton of open space in front of him – carried the ball deep into the 18-yard box before flinging a pass across the goal mouth that deflected in off Timbers defender Julio Cascante. And his teammates, joking as they did about the South Korean’s scoring prowess, gladly took an own goal they argued tongue-in-cheek should have been credited Kim’s way. The Sounders were outshot 22-6 on the night and had just two shots go on target. 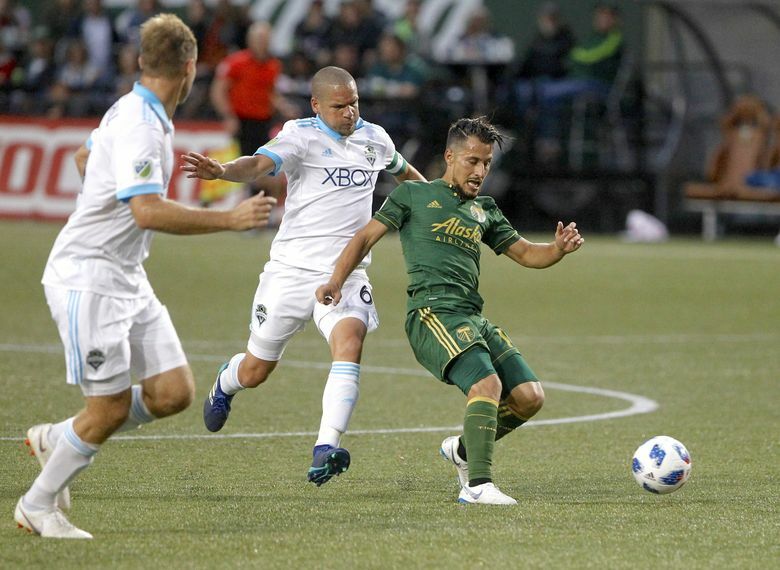 But Cascante’s deflection into his own net was on-target enough to give the Sounders their first victory at Providence Park in four years. Their seventh consecutive victory also tied a single-season league record in the post-shootout era that had been set by Sporting Kansas City in 2012. 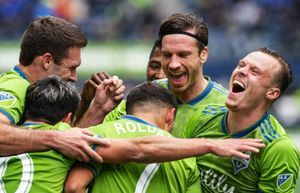 Not only that, it vaulted the Sounders, now 11-9-5, over Portland and the playoff “red line” into a fifth-place tie with the Los Angeles Galaxy in the Western Conference standings. And they now have a shot to break not only the league record for consecutive victories against the same Kansas City team at home next Saturday, but a serious chance at a first-round playoff bye as well. Kansas City holds the No. 2 spot, seven points ahead of the Rave Green, but another Sounders victory would narrow that gap to four. The Sounders earned a first-round bye a year ago, largely due to a 13-game unbeaten streak that turned their season around. Similarly, this 10-match unbeaten run has transformed a campaign that appeared all-but-over after the Timbers beat the Sounders 3-2 at CenturyLink Field for the first time ever June 30. The Sounders haven’t lost since. Frei agreed the match Sunday wasn’t pretty at times, but said his team played a strong road contest that wasn’t about trying to impress the Portland fans. 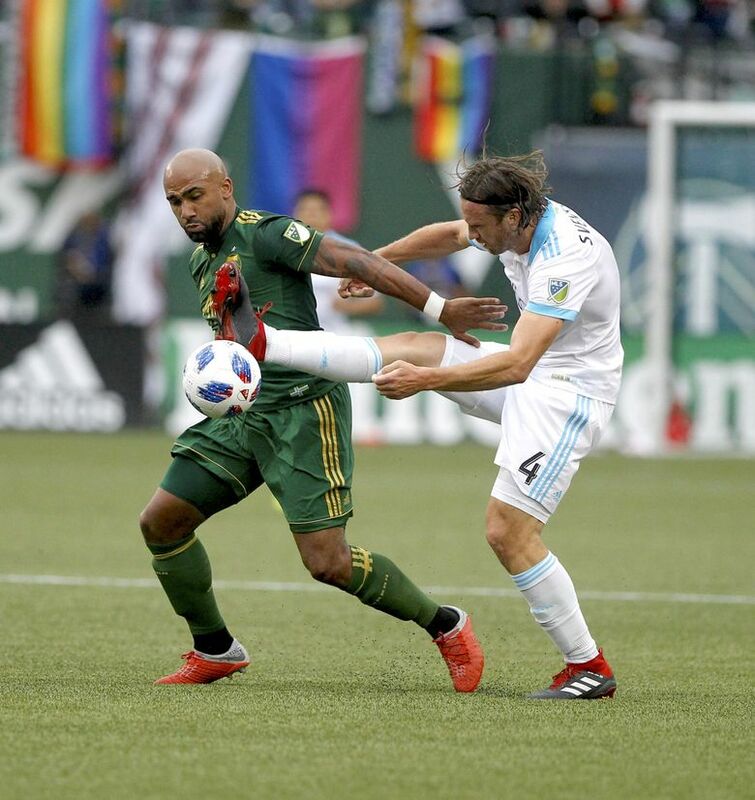 Instead, the Sounders slugged it out at times – newcomer Brad Smith going nose-to-nose with Portland midfielder Sebastian Blanco in a second-half melee that drew yellow cards for both – and fended off an increasing number of Timbers surges. Kelvin Leerdam finished the first half on a sprained ankle, then played 13 more second-half minutes before finally subbing off. At that point, the Sounders dropped Roldan back and went to a five-man back line that provided Kim some cover for what he did next. Kim intercepted a ball at midfield, fed a pass to Lodeiro and then broke toward the Portland goal. 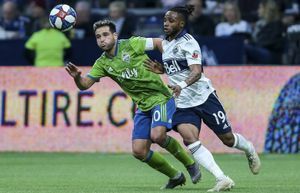 Lodeiro passed the ball back to Kim, who looked up and – seeing absolutely nobody challenging him – kept right on going. Sounders coach Brian Schmetzer described it as a veteran player making a huge play when needed. And it did indeed as the final whistle sounded and the Sounders fans who had made the trip serenaded the visitors from their section in a far corner of the stadium. The players eventually walked over, formed a line and saluted the fans after only their third victory here in Major League Soccer play. And in the interim, they’ve made going for some additional hardware a little easier on themselves.